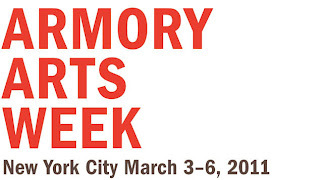 With fresh canvases and new installations, the annual Armory Arts Week has returned! Today is the final day to see dozens of NYC’s galleries that have opened their doors for visitors to experience the artwork and exhibits of thousands of contemporary artists. If you haven’t already, be sure to check out The Armory Fair (Pier 92 and 94), The Moving Image Fair, The Independent, or one of the several other fairs occurring this weekend.